Make this festive season extra special for yourself or your favourite gym fanatic, with a mega selection of delicious bites and favourite flavours designed to keep that all-important training on track. 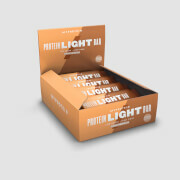 Find a hidden protein bar behind every window, each selected from our bestselling range – from Oat & Whey and My Bar Zero, to the classic High Protein Bar, all coming in a number of mouthwatering flavours. Whether it’s indulgent Chocolate Orange, Salted Caramel or one of many more, each bar is packed with high-quality nutritionals so you can enjoy the build-up to Christmas in the most delicious, guilt-free way. And with 24 mystery bars, every day is a sweet surprise to help fuel your training throughout December! Acho uma excelente opção para quem quer experimentar vários snacks da Myprotein. Penso que não deveriam repetir os sabores porque a pessoa pode não gostar e vê-se obrigada a consumi-los mesmo assim.